ELEMENTAL CHANGES is a holistic healing practice in Asheville, North Carolina that offers the ancient arts and traditions of Chinese Medicine. 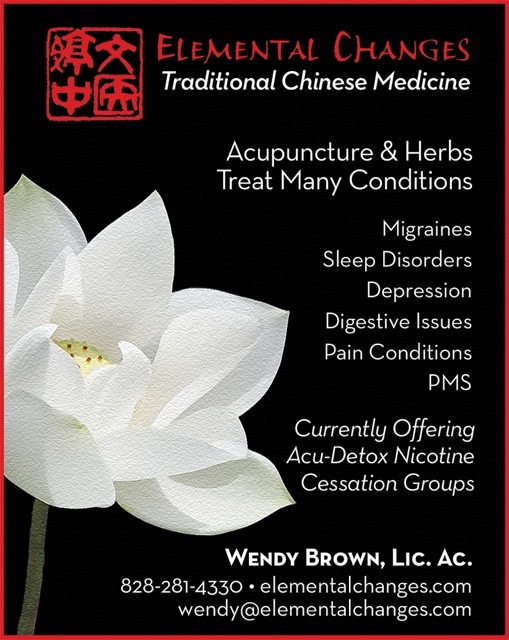 Wendy Brown, a second-generation licensed acupuncturist in her 28th year of clinical practice, is devoted to helping others through the time-tested ways of eastern medicine. This website is inspirited by her as a resource for patients to better understand the healing path that they embark upon under the care of her treatments. My mission is to provide you, my patient, with quality Chinese medical care and individualized attention. All services are conducted with care and respect, yielding beneficial treatment results and offering Chinese herbs that meet highest quality standards. I endeavor to motivate you with educational tools useful for creating health, while also keeping the process simple so that you may develop understanding that benefits your treatment, and ultimately flourishing on your life path. Chinese medicine is a scholarly system of healing which addresses a myriad of diseases, disorders and conditions; their prevention and their cure. In my practice, I focus treatment on a wide-spectrum of health disorders ranging in nature and level of severity. In essence, I treat everything, and quite routinely in unison with other modalities practiced by qualified healthcare practitioners. I am committed to your healing and am honored to work with you. 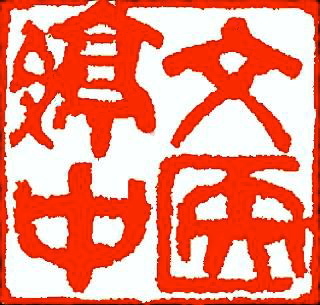 Chinese medicine is centuries-old and its wisdom and scope can not be underestimated, nor its depth be taken for granted. Video circa 2011. Office has since moved.